When you look at the construction of this dog house, you will be happy to know that it is made from a durable, strong and thick resin material. It has a simple yet classy design. This dog house is easy to assemble even without using complex tools. It is designed for dogs weighing up to 100 pounds. It is leak-proof and has a crowned floor and vinyl doors. Your pet’s name can be written on the door. 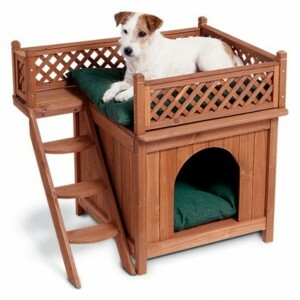 Your pet will surely feel comfy sleeping in this adorable dog house. It is built from kiln-dried cedar with ergonomic design that is ideal for indoor and outdoor use. It is sturdy and durable. The whole structure features a latticework, a balcony and side steps. It can be assembled in around 20 minutes even if you are not a pro. However, this product is only recommended for smaller pets. 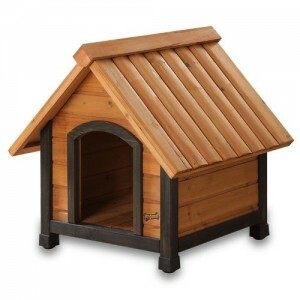 Ideal for dogs weighing up to 95 pounds, this sturdy solid fir wood dog house is really stylish, elegant and functional. Although a bit expensive compared to other items in the list of 10 best dog houses, you will not regret buying this product for your furry canine friend. Based on its many positive reviews, you can be sure that many clients are happy with this item. Its design includes an off-center entrance, raised floor, plastic feet and slanted roof. Even if it is a bit expensive, you still get the best value for your money when you buy Pet Zone’s Our Pet’s Tuff-N-Rugged Dog House. One of its greatest features is that it keeps dogs comfortable all year round. It is design to make your dog will feel warm in the winter and cool in the summer. It is also features a double wall construction for better insulation. Made from durable plastic, this dog house will last for years with proper maintenance. It is also easy to clean and assemble. 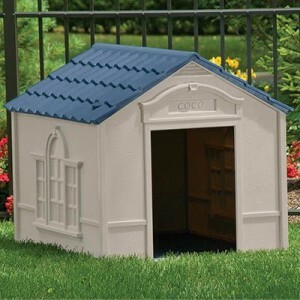 There are many good features about this dog house that you will see as its advantages over other options in the market. It has a groove design and a slanted roof for good drainage and efficiency against the constantly changing weather. Flooring is elevated to avoid flooding in case of rain. The floor can also be removed for easy cleaning. This dog house is made from dried cedar tree which is tough and durable. It is also easy to assemble. Petsfit Dog House it ideal for animals weighing 100 pounds or less. 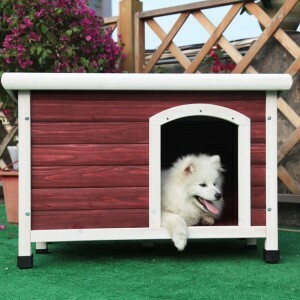 Arf Frame Dog House is also a good choice if you are looking for a suitable house for your pet. It is made from strong solid wood and processed to make it weather resistant and pest free. It is also lightweight and easy to transport. Sturdy, comfortable, elegant and affordable. These are the features that put this product into the list of 10 best dog houses. Your furry friend will get to enjoy sleeping in this nice house. Let your dog enjoy comfort and privacy by giving it its own house without spending more. 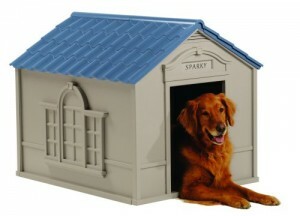 This dog house by Suncast is among the affordable items in the list of 10 best dog houses. This product does not lack the great features that expensive dog houses have. 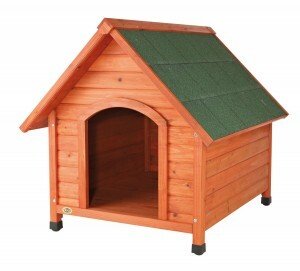 It is beautiful and made from durable materials, making it an ideal dwelling home for your pet. It has a crowned floor with thick plastic construction that is easy to assemble within minutes. This dog house is suitable for pets weighing 70 pounds and below. A vinyl door is already included when you purchase this. 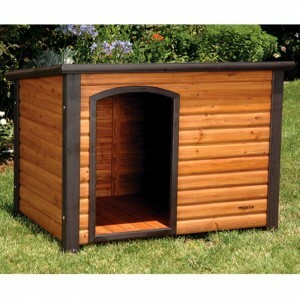 Also a good product to consider when buying a dog house is the one made by Petmate. Your pet can enjoy this wind-and-rain-resistant dog house. It has a unique appearance in that it is designed to look like an igloo. It features a Microban that helps deter the growth of odor causing mold, mildew and bacteria. It also has a roof vent for continual air flow. It may look like a complex structure but this dog house is easy to assemble. Your dog will feel comfy in this durable plastic dog house. It is designed to withstand the unpredictable outdoor weather. It also has a classic and functional design that allows your pet to feel comfortable inside. If your dog weighs 100 pounds or less, it is a good choice for a dwelling place. Its vinyl door provides added protection. Moreover, it is also easy to assemble. 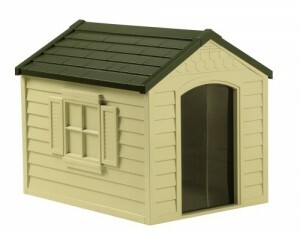 Last but not least, this weatherproof pine dog house also makes a good living space for your furry friend. It has adjustable hard plastic feet that you can use to level the shelter even on an uneven ground. It is recommended for dogs that weighs 70 pounds or less. Also, it has a raised floor that is removable for easy cleaning. Unfortunately, its plastic door is sold separately. Dog houses come in different designs, sizes and styles. While buying any of the 10 best dog houses may seem to be an unnecessary expense, if you will consider the benefits of having a dog house, you may change your mind and count it as a good investment. What matters most is the comfort and safety of your pet while it is outdoors. Before scouring the stores or purchasing online, it would be good to know some tips how to choose the right dog house for your pet.